Choosing the best car wax is essential for a long-lasting, durable shine that fits within your budget. Waxing your car is the process of creating a barrier on the car’s paint to prevent contamination from the environment such as road tar and pollution. There are so many different types of car waxes and products available, it can be confusing choosing the right wax product for you. We felt the same way, and as a result have created our car wax reviews to help you find the right wax choice for your car or truck. Where Can You Use Car Wax? Why You Should Wax Your Car? There’s no denying that waxing your car takes time and effort, even the best car wax requires some amount of effort. So set aside a Saturday/Sunday morning, thoroughly wash your car and then break out a tub of your best car wax. Waxing creates a layer of paint protection essential in modern times with pollution and industrial fallout a constant threat to your paint. An easier to clean car is another advantage of waxing. The dirt just slides off when a sufficient amount of wax has been applied, making cleaning a whole lot easier. A quick wash is usually all that is needed to keep your car looking it’s best for many months to come. Meguiars NXT 2.0 wax contains what is called Hydrophobic Polymer Technology which is a term coined by Meguiars themselves. This basically means water and dirt will not stick to the paint once applied and will simply glide off at the next wash. The wet look shine is easily obtainable due to the ease of use of the product, simply apply it with a foam applicator and then buff off using a microfibre cloth. Wash after wash this wax seemed to retain it’s durability from what I have tested. 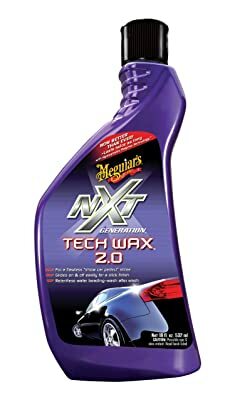 As already mentioned in this Meguiars NXT 2.0 review the wax is very easy to apply. Firstly grab a foam applicator pad and apply two pea sized drops of product onto it. Rub onto paintwork in circular motions and ensure an even coverage of the panel. Wait for the wax to haze and then buff off using a microfibre cloth. Like most modern liquid waxes, Meguiars nxt 2.0 is very easy to buff off even after drying completely in the sun. Water seems to hate this wax and beads up very easily making the next clean effortless. This is thanks to the hydrophobic chemicals which are blended into the wax which create a barrier of protection over your paintwork. 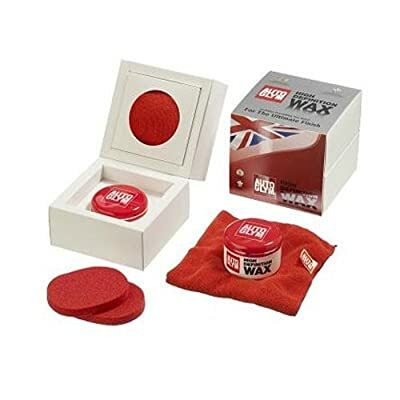 This wax is a doddle to apply making it ideal for beginners who want to look after their car. Liquid waxes in general are easier to apply than their paste counterparts and the Meguiars NXT 2.0 is no different. All that is needed is a foam applicator and microfibre cloth which are often included from some suppliers. This wax lasts for ages, wash after wash the water continues to bead up and dirt just glides off. The wax usually lasts for about three months in average weather conditions without harsh conditions such as snow and road salt. Have you ever waxed a car only to be faced with those annoying white marks left on the plastics? Meguiars NXT 2.0 leaves no marks on plastic whatsoever even when I tried to on purpose, this speeds up the waxing time as no further cleaning is required. For a liquid wax it is quite expensive considering you use more product when compared to a paste wax. Even on online retailers such as Amazon the wax sells for around £17 which makes it more expensive than some paste waxes such as Collinite 476s. The easy to use nature of the product does make up for the price however. Should you buy this wax? I definitely recommend it especially if you have never waxed your car before or haven’t done so for a few years. The wax is easy to apply and leaves no residue therefore negating extra clean up after. Amazon is probably the cheapest retailer to get this wax from at this present time. Black is one of the most popular choices for paint on cars today. Although it’s popular, black does come with its downfalls most notable the ability to show the tiniest of defects in the paint. Maintaining the original appearance of the paint should be the owner’s top priority especially if the car is expensive or has had a costly respray. First up is the Pre Wax cleanser, which as you’ve guessed it is designed to deep clean your car’s paintwork. The added benefit of this cleanser is the ability to remove fine swirls and scratches from the paint improving light reflections. The cleanser is very easy to apply and hazes up very quickly, requiring only a light buffing to remove it. Now the spray detailer can be used to remove excess cleanser or wax from the car’s paintwork during the coating process. Although most of the time this isn’t necessary due to the ease of use of the wax and cleanser. Used correctly this spray detailer will last for 10 complete applications on an average sized car, if you use it for the occasional bird droppings etc. then it will last for months or even years. The last product in this Turtle Wax Black Box review is the carnauba wax which is a blend of polymers designed with high gloss in mind. Another great easy to use product from the kit, the wax goes on easily and hazes quickly ready for buffing off. This wax promises to hide swirl marks in the paint but when tested I found only a marginal improvement was made. Don’t get me wrong the reflections were amazing it’s just most of the swirl marks were still there. The finish itself is very durable and repels water straight away with the remaining beading up on the surface. The product itself is very efficient to use due to its quick drying formula. Included equipment in the box is more than adequate for applying this wax, the applicators are of the foam variety which are very common in the car detailing community. The microfibre cloths are soft and buff off the wax without any marring or scratches. Several applications are needed for the desired effect of this wax. I found not all of the swirl marks were covered, although the wax did make a vast improvement over what was there before. The pigmentation found in this product can stain your hands, so I would recommend wearing gloves. 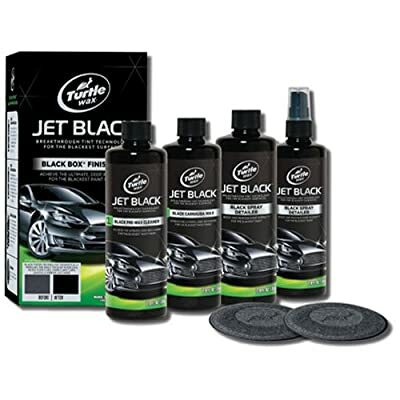 For the price of less than $15 this wax kit is great for any owner of a black car. The application itself only takes a few hours and be easily achieved on a Sunday afternoon with a bit of effort. I hope you have made a decision after reading my Turtle Wax Black Box review, any questions or thoughts leave them in the comments below. Are you looking for a wax which will protect your car through the harshness of winter? Or maybe you live in an area with high pollution levels which case paint contaminants. The Collinite Super Wax is one of the toughest waxes on the market and repels dirt with ease. Some people claim results lasting a full year with only two thin applications, in my experience 6 months is more common. Collinite were established in 1936 providing the most durable products on the market. Their range of products are hand crafted entirely on the production line which gives this company a family business feel to it. Collinite don’t use any fancy marketing campaigns or jump on the back of trends, they rely on the quality of the product to sell itself. First thing you may have noticed about the 476s wax is its packaging. Don’t let this fool you, the wax itself is a blend of ingredients offered outstanding performance. It’s the Collinite way to not use any fancy packaging to sell their products. On opening the product you are greeted with a slightly unpleasant smell which is rather different to many other waxes on the market. For me this isn’t a problem as I find nice smelling waxes a bit of a gimmick anyway, as long as the product performs then its fine by me. We will have a look in this Collinite 476s review and see if this is the right wax for you. As with most paste waxes a little goes a long way, this is no different for the Collinite wax. A tub can potentially last for a few years as re-coating is required far less than other waxes. The price is also excellent with a tub costing around the £16 mark from retailers such as Amazon. Collinite 476s is renowned for its tough, long lasting results. Most people only need to re coat the wax twice per year even during winter time. People have reported beading after six months without the need to re coat. A spray with quick detailer is all that is needed to keep the wax in excellent condition. Waxing your car is all about the protection and shine you achieve after. You won’t be disappointed with Collinite 476s as the depth of shine almost looks like a mirror. The car’s colour doesn’t make too much of a difference, 476 seems to be an all rounder without giving preference to one particular shade. Now this wouldn’t be an unbiased Collinite 476s review without looking at the negatives. Although this doesn’t bother me, the smell of the wax may be considered unpleasant by some people. Especially when compared to waxes offered by other companies such as Dodo Juice or Poorboys. The tin which contains the wax looks like something from the fifties which may give the wrong impression to people who don’t know how well the wax performs. This is only a minor fault of the wax and may just be me being picky. As you can see from the disadvantages this wax really is hard to fault especially for the price. Currently this wax is probably my favourite, for good reason, as it is the most durable wax for the money. A couple of coats on a Sunday afternoon is all that is needed to protect your car’s paintwork for months on end. 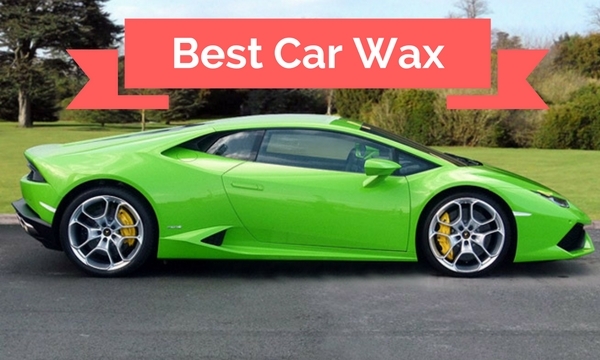 Consider this wax for protecting your car’s paintwork throughout the harsh winter months. As a car owner, you recognize the benefits of regularly waxing your car with the best wax that you can afford. When searching for the best car waxes, the Autoglym HD Wax will be part of the conversation. Of course, you’re not sure if this is just hype or if it really is the best. This is why it’s a good idea to read this Autoglym HD Wax review first in order to check if this is worth buying or not. This is obviously a plus because Autoglym is known in the auto industry for producing some of the best car care products. Since it was first established in 1965, it has grown now to the point wherein its products are sold to over 50 countries. Aston Martin, Jaguar and Lotus are all companies who use and have endorsed products made by Autoglym, along with this the company also holds two royal warrants in the US. It features a unique and effective combination of Carnauba plus microcrystallines mixed with waxes plus saturated hydrocarbons and oils. This means that this is abrasive free which is very important since you’re going to apply it on your car. This mixture leads to a car show quality shine. It’s so good that it’s the top choice of people who have invested a lot of money on their car’s paint job. It’s very efficient and economical. You may be surprised when you first see its small container, but there’s a reason why Autoglym decided to pack it in a small container. This is because it’s very efficient and a little goes a long way. 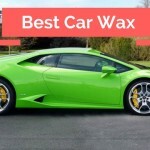 In fact, some users have estimated that they waxed their car 10 times before the wax ran out. This is true for myself, my tub has lasted me over 18 months and it’s still going strong. With the deep shine and wet look gloss that it will produce, you’ll feel like you’re about to enter a car show. It does a great job protecting cars. 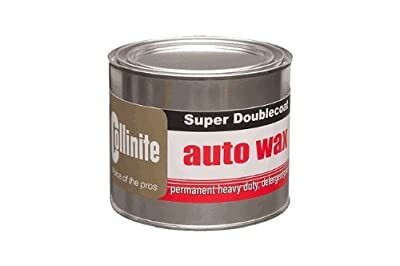 In addition to repelling water and dust, a good Autoglym HD Wax review will tell you that this wax can also help your car repel UV rays, salt, and even acid rain. Here in the UK, with it’s salty winter roads, the wax stands up for weeks at a time often outlasting it competitors. The effects are long lasting. The effects can last for months. In fact, it’s not surprising to see your car still repelling water and dust a couple of months after application. A quick maintenance wash is needed to keep the wax looking it’s best but because the dirt just slides off then this shouldn’t be a problem. It’s more expensive than other waxes. This shouldn’t be a problem because a little goes a long way, with average usage a tub should last 18 months. In addition, the results are long lasting and worth the extra money. Application takes a little bit of getting used to. In the well presented box there are a couple of sponge applicators plus a microfiber cloth. Application at first seems awkward, but you’ll get used to it. To sum up this Autoglym HD Wax review, this wax is truly one of the best. It’s more expensive than most waxes, but you’re going to get what you’ll pay for. One look at the results and you’ll see that it’s worth it. If you really want to treat your car’s paintwork then I highly recommend adding this wax to your car cleaning regime. Autoglym are a UK manufacturer of car cleaning products which are used by well renowned car producers such as Aston Martin and Lotus. The company was first established in 1965 and has gone on to sell its products in over 50 different countries. Royal warrants aren’t the easiest of things to earn but Autoglym has managed to gain two of them over the years. In this Autoglym Ultra Deep Shine review I will discuss how this product is ideal for any owner of a dark coloured car. Ultra Deep Shine is an all-in-one product capable of filling in swirls, scratches and holograms therefore negating the need for wax. Buff off immediately for the best results as this product dries very quickly. Like most other car waxes and polishes, UDP is best applied thinly using a foam applicator. Start with one panel and work your way around the car being careful to not let the product dry out. Once hazed buff off using a Hi-Tech Finishing Cloth available from Autoglym. I will begin this Autoglym Ultra Deep Shine review by discussed the pros of the product. A huge plus point especially for people with limited time. This product polishes and waxes in one step so the extra purchase of wax is not needed. Ultra Deep Shine will mask minor scratches and swirls therefore enhancing the glossiness of the car’s paintwork. Dark colours are where this polish is the most effective especially on more modern water based paint systems. Once applied correctly the polish lasts for quite a while holding up to the daily onslaught of rain, pollution and road dirt. This is down to the blend of waxes and other ingredients which provide a tough shell to the paint. Generally this polish/wax is best used on more modern paint systems which are free from major defects such as heavy scratching or marring. The level of gloss achieved by the product is actually very impressive considering the price of the product. An unbiased Autoglym Ultra Deep Shine review wouldn’t be the same without talking through the disadvantages of the product. The durablitly of the product is questionable when compared to other waxes. This may be a little unfair considering Ultra Deep Shine isn’t a full on car wax, but I have found I need to apply more to get the same level of protection as other waxes. Don’t expect miracles from this product, if your car is full of swirls and scratches then proper paint correction is needed. So really Ultra Deep Shine is best used on new or lightly swirled paint. Overall I think Ultra Deep Shine is a great product capable of excellent results on new, modern paints. The price is very good at just below $40 for a one 500ml bottle from Amazon. Natural car wax is usually made up of Carnauba wax from palm leaves grown in northern Brazil. Most consumer grade car waxes contain a certain percentage of Carnauba will the rest made up from other ingredients. Pure Carnauba wax is available through certain manufacturers but at a higher cost. A high gloss finish is usually obtained through this type of wax, however it doesn’t last as long as its synthetic counterpart. Often called paint sealant synthetic wax is, as the name suggests, man-made. These waxes last for ages with some lasting for up to year! The shine may not be as high gloss as natural wax but the durability more than makes up for it. Higher temperatures can be handled by synthetic wax which makes them ideal for protecting parts such as wheels. Probably the most common of all car waxes available today. Walk into your local auto suppliers and bottles of this stuff will be on the shelves. My favourite type of all waxes available, paste wax generally lasts longer than the liquid equivalent but can be harder to apply. Paste waxes can be either synthetic or Carnauba based and applied by hand or machine. This is the best car wax if you want long-lasting, high gloss results from your car’s paintwork. Looking to spruce up your car before a show? Then quick detailer or spray wax is what you need. Spray wax is the easiest to apply out of three but also lasts for the least amount of time. Clay bar lubricant is another use for quick detailer and is often sold as a package with said clay. How to Use Car Wax? Applying by hand may not be for everyone because it does take a lot of hard work especially for the harder waxes. Foam applicators, microfibre cloths and waffle weave cloths are all types of equipment which can be used to apply, then buff, wax. Applying wax by machine on the other hand is much easier as the buffer does most of the work for you. However, this method is much more expensive as decent dual action polishers don’t come cheap especially when topped off with a foam applicator backing pad. Paintwork of the car is the primary use for car wax. A respray can be very costly with thousands being spent for a good quality paint job. So protecting your paint makes sense given the cost of car wax is relatively cheap and available. Brake dust, road tar and other contaminants can stick to the wheels of your car making cleaning more difficult. Applying a coat of wax will not only make the wheels shinier but also stop contaminants sticking to them which, in turn, makes cleaning easier. The trick with car wax is regular application. Find a wax which suits you and apply it regularly. You could have the best wax in the world at your disposal but if you only apply it once in a blue moon then it is as good as useless. Follow the manufacturers guidelines regarding regular application to ensure your paintwork is fully protected. There is cleaning or washing a car and then there is detailing a car. Washing a car is simply applying soap and water to the vehicle’s exterior, rinsing the vehicle and vacuuming out the interior. Detailing a car or truck is a completely different animal altogether. With an auto detail you are trying to bring the vehicle to its best possible condition, as if for resale or exhibition at a car show. It will not be necessary to detail your vehicle every time the vehicle becomes dirty, however detailing your car or truck once or twice per year is a great way to enjoy your vehicle more and preserve its market value. Step One: Clean the tires, wheels and wheel wells. First spray the degreaser inside the wheel wells and onto the tires. Use the tire brush to brush the degreaser over the tires. Next spray the wheels themselves with the wheel cleaner and brush the wheels thoroughly. Immediately rinse the wheels, tires and wheel wells after brushing, proceeding one tire section at a time. Step Two: Clean the engine. Spray a liberal application of the degreaser fluid over the engine compartment and underneath the hood. Allow the degreaser to remain on these areas for approximately ten minutes, then rinse the degreaser from the engine compartment and underneath the hood. Step Three: Wash the car. Before rinsing and applying the car wash soap, use the bug & tar remover to remove any bugs or tar found on the paint surface. Then rinse the car thoroughly, apply your soapy water with a car wash mitt, then rinse the soapy water from the vehicle. Go over the vehicle exterior, door jams, trunk jam and gas tank container with a wet chamois. Step Four: Clean the dashboard, vents, door panels and buttons, steering wheel, drink holders, console, etc… Our preferred method is to simply spray these interior sections with the glass cleaner and wiping the cleaner away with a soft dry towel. For cracks and tight places, use thin tools like a flat head screwdriver, a quarter or a nickel, tucked into a papertowel. Step Five: Vacuum and clean the seats. If spots or stains exist on the seats, use a clean brush and some soapy warm water to scrub the spot clean. Apply the soapy warm water, and then allow it to remain for ten minutes or so, then brush the area thoroughly with a clean brush. Finally, vacuum the wet section(s) until dry. Step Seven: Clean the windows using your window cleaner and a soft dry towel. Step Eight: Vacuum the floor of the vehicle. You should shampoo the carpet with soapy warm water and a scrub brush and wet vac the floors if necessary. You should wax your vehicle on a regular basis to protect your paint’s surface and preserve its shine and color. Waxing your car is preventive maintenance, just like changing the oil or rotating tires. How often you apply wax to your vehicle will depend on your vehicle’s current paint condition and the type of car wax product you are applying. Most product labels say to wax your vehicle every 30 to 45 days, and you can pretty much throw this timeline out of the window. Remember the product manufacturers obviously want you waxing your vehicle as often as possible, so personally I would disregard this recommendation. You may want to wax your car once every 30 days if you are desiring a deep shine and you mostly use quick detail wax or finishing wax. You would not want to use a rubbing compound, or highly abrasive cleaner wax that often as doing so could damage your vehicle’s paint. One way to determine generally whether your car’s paint could use a wax application is to wash the vehicle with water, and observe whether the water forms beads on top of the paint or forms sheets of water on the car’s surface. If the water mostly beads up on the vehicle’s surface, a wax application is probably unnecessary. If the water does not bead up, but falls into flat sheets on top of the vehicle’s surface, a wax application would be recommended. A second way commonly used to determine whether your car needs a wax application is known as the squeak test. Fold a microfiber or terrycloth towel into a hand-sized square and press firmly to the vehicle’s surface. Twist the towel with your hand. If the twisting creates a squeaking sound, it is probably time for a wax application. If you hear nothing, a wax application is probably not needed at this time.